Clean Air Zones explained: Which drivers will be affected and who will be charged? Last year the city of Oxford announced plans to move towards becoming the first zero emissions zone city in the world by 2020 by banning all petrol and diesel vehicles from the city centre. Representatives from other UK cities, such as Birmingham, Southampton and Leeds, reacted positively to the news, later announcing their own plans to introduce Clean Air Zones in the near future. 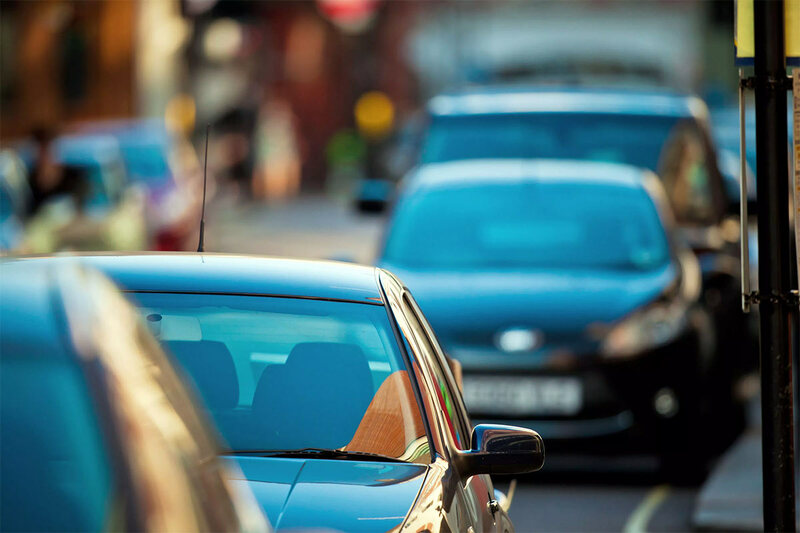 Clean Air Zones can be a confusing topic for drivers, as it’s currently understood that the zones will implement entry charges for certain vehicles. To help drivers understand who will be affected by the changes and what the proposed charges will be, we’ve teamed up with Motorparks Grange, retailers of used cars and prestige vehicles, to bring you this helpful guide to Clean Air Zones. The UK government intends to implement Clean Air Zones within several major city centres in order to improve economic growth and the overall health of the population. A Clean Air Zone is defined as an area in which targeted action is taken to protect the environment and improve air quality. The proposed plans involve access restrictions in certain city zones to encourage cleaner vehicles on UK roads and reduce pollution levels. Due to their high pollution outputs, busses, HGV’s and taxis will be the first to be charged for entering the zones – however, the charges will not apply to private cars just yet. Vehicles which meet the definition of ultra-low emission (fully electric vehicles, for example) will not have to pay entry fees. Other vehicles will be separated into different classes and charges will apply depending on which class they are in. Not all of the zones will have fixed fees to start off with and the charges will ultimately be decided by local authorities and councils. Penalties will not be compulsory for Clean Air Zones either, however, councils which do decide to implement charges will have the right to charge penalty fines if drivers do not comply with the zone charges. The city of Bath is currently assessing the impact of a clean air zone charge, with suggested charges for high emission cars ranging from £3 to £13 per day to drive within the zones. Private car owners will not be affected to begin with, so those of us who drive large vehicles such as a Land Rover can relax for the time being. Although the charges are yet to be completely finalised, we now know that they will be issued depending on what class your vehicle falls under. The four classes are: A. B. C and D and have been selected according to vehicle type, emissions and euro standard. The government has released a report outlining the Clean Air Zone framework, so you can check which category your vehicle will be in. Which cities will adopt the zones? The UK government has selected the cities with the lowest air quality to be included in the plans. They aim to lower the nitrogen dioxide levels by a considerable amount, bringing them back in line with legal guidelines. Whilst Leeds, Southampton, Nottingham and Derby have been approved to host Clean Air Zones, several other cities across the UK are still awaiting approval, including Newcastle Upon Tyne, Manchester, Liverpool and Hull. The zones will likely only be in operation in city centres, and restrictions will involve entry fees, time of day restrictions and/or blanket vehicle bans. A recent article by the Sunday Times outlined that the zones could affect more than 35 city areas, in which all types of vehicle (both public and private) could potentially face all-out bans from city centres during peak times. In the most polluted cities, the charges (dubbed ‘toxin taxes’ by the media) could end up being as high as £20 a day. The government has also been keen to point out that they do not intend to punish drivers who purchased their diesel cars because of successive governments, as they don’t want drivers to feel as though they are being hit hard by incentives that the previous governments encouraged. Do Clean Air Zones really work? London and Germany have already implemented such zones. Studies in Germany found a significant reduction in particulate matter (small air particles that can get into the lungs causing health problems) levels throughout the zones. Further research in London found that particulate matter levels had fallen by up to 3% over a five-year period within the zones, compared to just 1% outside. Some studies, however, have suggested that air pollution levels inside the zones is improved only at the expense of the surrounding areas. This could be due to drivers choosing to take alternative routes or driving further than usual in order to avoid incurring the charges.